The Filipino Martial Arts are weapons based arts. They also have empty hand skills (Panantukan, Pananjakman - Dirty Boxing) such as punching (Boxing/Empty Hand Striking), kicking (Kickboxing), trapping, locking, takedowns and ground fighting (Dumog - Filipino Grappling - similar to Jiu-Jitsu & Wrestling) with and without a weapon. The Dirty Boxing curriculumn will incorporate hands, feet, knees, elbows, headbutts,etc. with and without gloves. We will use focus pads, Thai pads, Kicking shields, etc. to develop various Panantukan and Panajakman striking methods. Unlike most martial arts these arts introduce the new students to weapons first before they learn empty hand skills. The feeling here is that if a student can become proficient with a weapon it will make your empty hands skills that much better as far as timing, speed, coordination, etc. 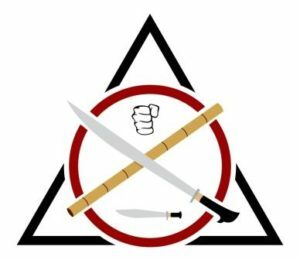 Most Filipino styles start with teaching the single stick first, then double sticks next, then single dagger (knife), then single stick and dagger. We also teach the long and short staff, the nunchakus, the Karambit, the Sais and various other rigid, flexible and projectile weapons as they apply to combat and self defense within the Filipino / Indonesian Arts structure. The Indonesain Silat arts such as: Maphilindo, Mande Muda, Bukti Negara, Kuntao, etc. also have weapons and empty hand skills that blend well with the Filipino Arts to create excellent techniques to enable you to successfully defend yourself when confronted with violent situations. **This training will greatly increase your ability to defend yourself on the street and greatly enhance your Boxing, Kickboxing, Grappling & MMA skills. 1. Weapons Training: Weapons vs Weapons & Empty Hands vs Weapons 2. Empty Hands Training: Empty Hands vs Empty Hands using various entries, takedowns & finishing techniques. **This class offers a ranking and Instructor Certification program in the Jeet Kune Do Combative Fighting Arts Association.